“We went in with the line-up that we thought was going to do the job for us, that had done it for us throughout the whole tournament,” the Australian captain asserted. Devastation may have been etched on Meg Lanning’s face for all to see following the ICC Women’s World Cup 2017 semi-final defeat to India, but the Australian skipper was quick to insist the right team had been picked for the job at hand. 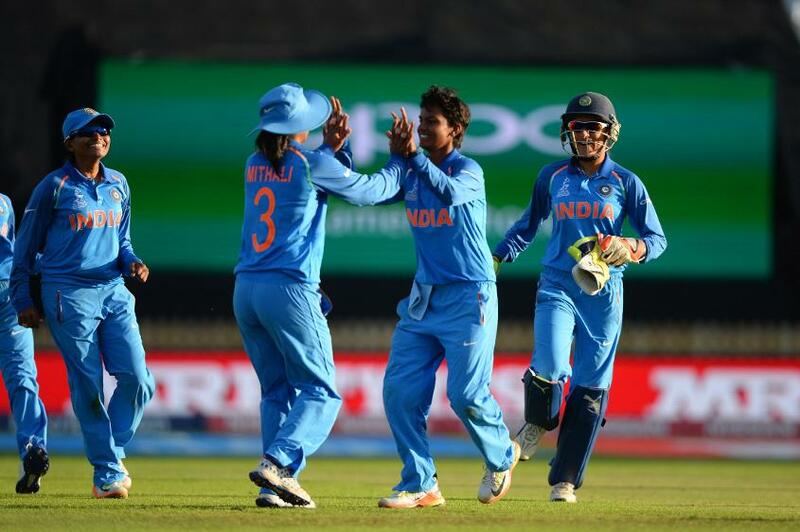 The Southern Stars fell 36 runs short of a place in the final at Lord’s, rendering it unable to defend the title it won in Mumbai four years ago, as India progressed to the grand finale, where it will take on host England in front of a sell-out crowd. Harmanpreet Kaur’s spell-binding knock of 171 inspired India to post 281 from its rain-delayed 42 overs, and although Australia was on the verge of a big defeat at 169 for nine, Alex Blackwell pulled them painfully close to completing the chase before succumbing for a team total of 245. And while Lanning was the first to laud Kaur’s monumental effort at the crease, she was adamant Australia’s team selection was not at fault for its defeat. “That’s the second time this is happened in this tournament where somebody has got going and we haven’t been able to stop them,” she said. “It was a disappointing second half with the ball, we didn’t execute as well as we could have and it’s not a great finish. Lanning insisted that Australia played what they believed was the best team, but that India were too good on the day. “Our spinners have done a great job for us throughout the whole tournament, and it just didn’t really happen today. “I had to turn to Elyse Villani for an over just to try something different in the hope that it would work. “They just weren’t able to be at the top of their game today. “We went in with the line-up that we thought was going to do the job for us, that had done it for us throughout the whole tournament. Australia entered this year’s World Cup as the top-ranked team on the planet, and as red-hot favourite to lift the trophy for the seventh time. But Lanning insists it is not, and never will be, a position taken for granted, having seen first-hand over recent weeks the growing strength of the women’s game. “This is definitely a disappointing finish to the tournament, we came here to win and we’re not going to get the chance to play in the final,” she added. “India were too good today, they outplayed us in all the facets of the game, so we’re going to have to look at a few things and see what we need to do. “All the teams around the world now are improving all the time, and the standard of this World Cup has been the highest it has ever been.